A while ago I made the Chorizo Sausage from Vegan Brunch. Actually, I made a crazy amount and froze it, this way any time I wanted some it was there. I love cooking in bulk and saving food for later. This time I sauteed it with some onions, garlic, and collard greens. 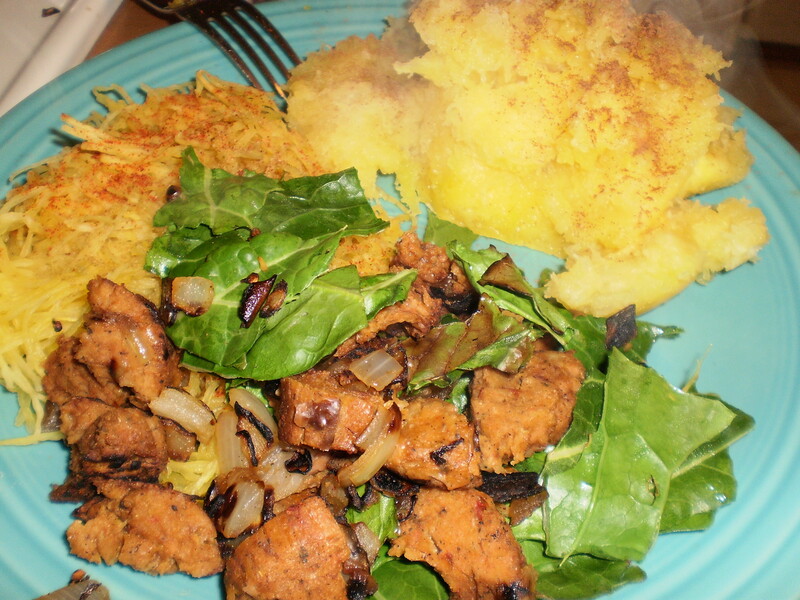 Served on some spaghetti squash seasoned with cumin and red pepper, side of acorn squash too. Yeah. I love my squash. 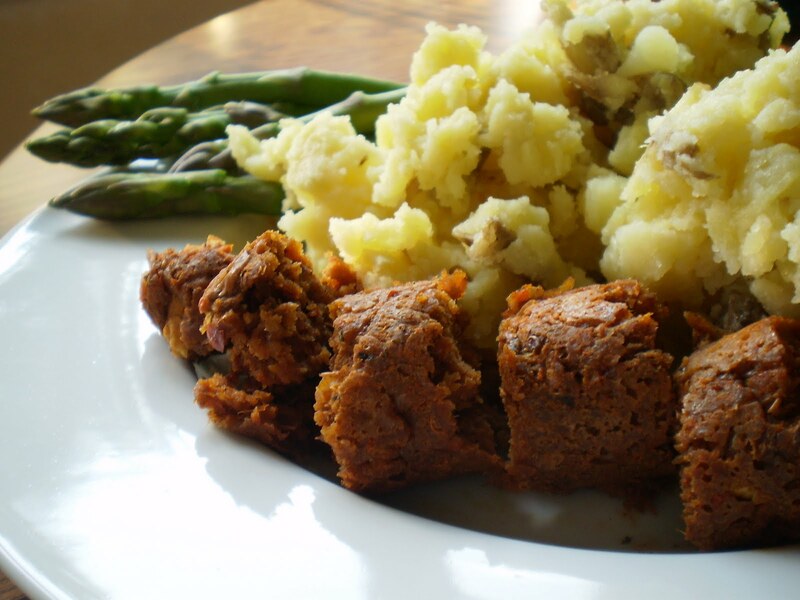 For dinner the other night I had the Vegan Brunch Chorizo ‘Sausage’ and then made myself some garlicky mashed potatoes (just boil potatoes, add earth balance butter, and a ton pressed garlic…yum), and a side of asparagus. 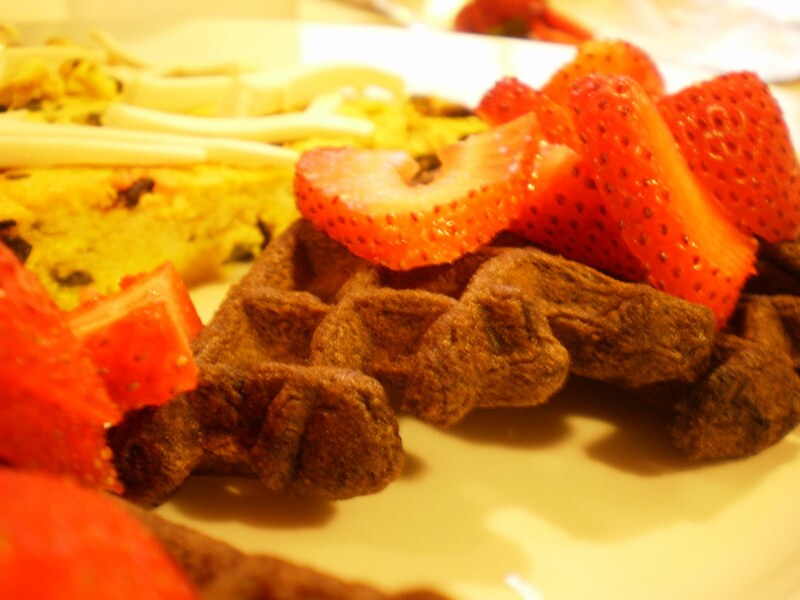 Then some Chocolate Beer Waffles, topped off with fresh strawberries…seriously tasty! 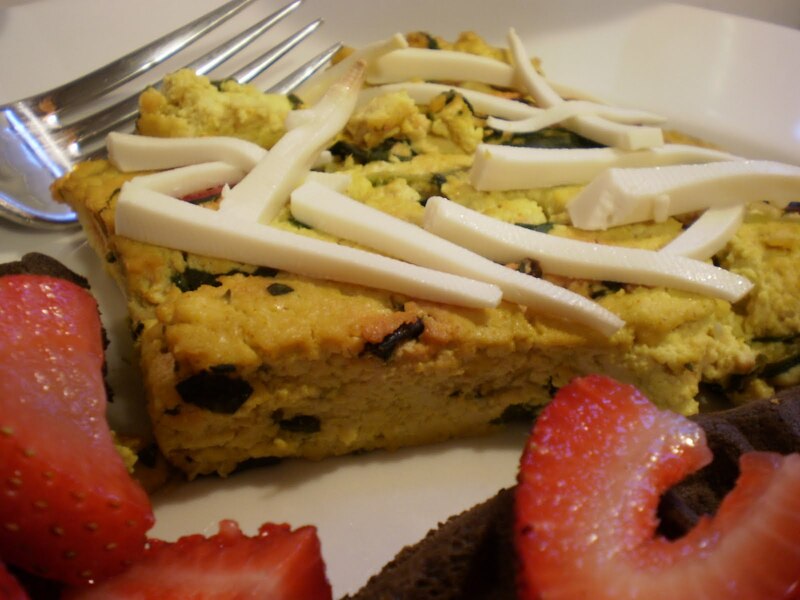 I ate the waffle with the Swissh Chard Frittata…oh my…this frittata was awesome, especially topped off with Teese. I think I like frittata’s more than tofu scramble and they’re just as easy to make, which I love. It was flippin’ amazing. On friday I also made the Chorizo from Vegan Brunch…although I haven’t made a meal with it yet so no pictures…I’ll cook something up this week and show it off too. I did a small taste test of it…amazing. But really, how can one go wrong with anything from one of Isa’s cookbooks? 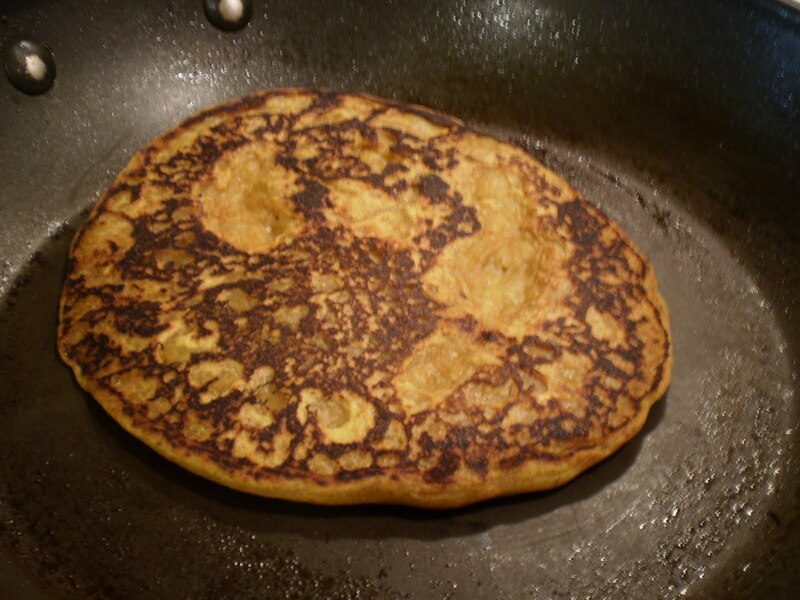 Sunday started out with a quick breakfast of pumpkin pancakes and then a nice hot humid and crazy windy bike ride. I managed to sweat out what felt like half my body weight so I was pretty zapped for the rest of the day. 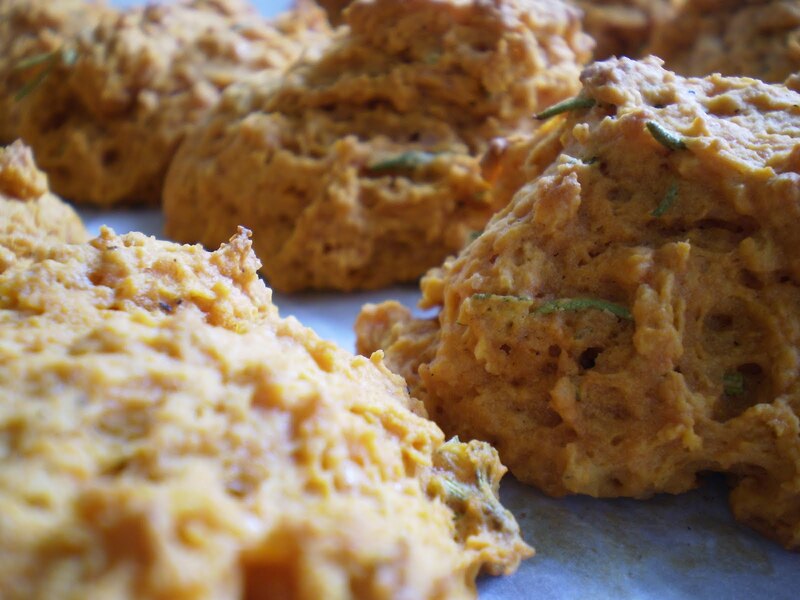 I did try to perk myself up by cooking more and made the Tomato Rosemary Scones from Vegan Brunch…They’re as tasty as they look here.